What are the best retirement cities in Canada? Vancouver, BC is a destination for people from around the world, let alone Canada, where it is renowned for its temperate climate, beautiful scenery and innumerable activities for family and seniors. Canada is full of excellent retirement cities but Vancouver may be the best of them all. Suburbs extend from Abbotsford and Chilliwack to North Vancouver and Richmond, where there are many great neighbourhoods and retirement homes. Learn more about retirement in Vancouver. Calgary, Alberta, is another great retirement city. One of Canada's perennially fastest growing cities, Calgary has a wealth of appeal for people of retirement age. From the beauty of majestic mountain scenery to the vibrancy of shopping in towns like nearby Okotoks, from Calaway Park to the Calgary Stampede to the Calgary Folk Festival, there's something of interest to anyone settling into retirement in the city of Calgary. 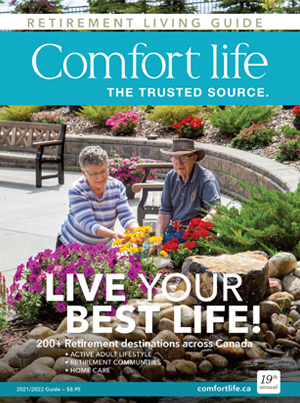 Check out retirement living in Calgary. Toronto, ON, Canada's most populous city is also wonderful for retirement. From excellent stage shows to major league sports to a wealth of other tourist attractions there are many ways to make any night in Toronto enjoyable. All of this activity makes it very appealing for family to visit or for you to simply enjoy retirement living in one of the world's favourite cities. Learn more about retirement living in Toronto. Ontario also has other cities ideal for retirement including London, Kitchener-Waterloo and Niagara Falls. Montreal, QC has charm to burn and there are innumerable things to do whether you are retired or not. Summer in Montreal is lined up with weekend activities from St. Jean de Baptiste Day through the Montreal Jazz Festival and beyond but there are, of course, plenty of things to do all year round. And you don't have to be a senior to love Old Montreal... but it helps! One of the things that makes Montreal especially appealing as a retirement city is the bounty of parkland, from Mount Royal to the outskirts of the city to the green space on the banks of the St. Lawrence. 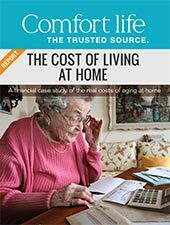 Learn more why Montreal is one of the great retirement cities from experts on retirement in Montreal. Halifax, NS and area is another destination city for Canadian retirement, of course. The slower pace and relaxed real estate prices make it ideal for many people. You will find many homes for sale in Halifax and area, but take note: this in itself might be telling. Many people move "out east" after visiting during the summer but they find the slower pace of Maritime life an adjustment. There is no doubt that Halifax and area is a great city in which to retire, though. There are copious summer activities including festivals, tourists galore and of course, simply laying around on many of the city's warm beaches. No matter your preference, there are many great cities in Canada, all of them making for a great retirement home.